This is a continuation of my last post but I decided to separate them out. Last night I went to a book signing by Ally Condie author of Matched. This is a dystopian novel about a society that controls everything by statistical analysis. I enjoyed it and it was neat meeting the author. She was very personable and friendly, answering questions for an hour. I liked how she talked about the process of writing. It was more scattered, jumping around the text, than I have heard from other writers. I also thought it was interesting how she pulled from little and big things in her life. Something like watching her mother paint became an element in the story. 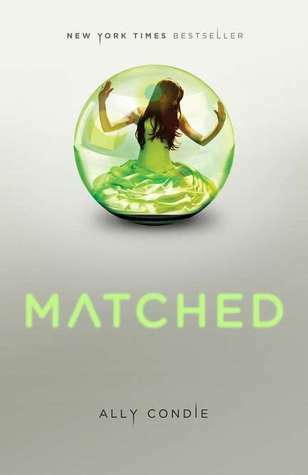 Matched- (My Goodreads Review) 3 stars. I feel kind of bad for Condie because her book feels really redundant of a million other similar books that have become popular in recent years; however, it is a shame because I think it is better written than most of those books. Matched tells the story of a girl who lives in a Distopian society where everything is controlled via statistics for maximum happiness. While I wish the philosophic debate had been handled more than the gooey romance it was an interesting premise. Is it better to have guaranteed happiness or the risk of chosen happiness? On one hand I appreciate that Condie gives 2 love interests that are compelling for Cassia but neither of them are developed enough, especially Ky. He is basically a staring, brooding, poetry reading presence but no real depth. Finally in the last 3rd of the book I felt like I got to know him a bit more but for most of the book I was thinking ‘Why is she picking this dope over a life-long friend like Xander’. Still, for these kind of books it was pretty good. I’d recommend it to a girl in its target audience. Most of the writing is good except for the romantic sections. They come off as very corny. Kind of like Hunger Games I don’t really feel much of a desire to read the entire series. hmmm? I’ve really enjoyed the opportunities I’ve had this year to meet authors. I don’t know if I will ever write a book but I find the process fascinating. Even writing this blog helps me feel a kinship to other writers and listening to their feedback and advice makes my entries better. If I do write a book I can tell you what type of book it will be- either a memoir or a book that reads like a memoir, that feels like a real story. Not my favorite genre but I still enjoyed it. The romance is pretty cheesy but a good setting, creative world. The girls I was with Tennille and Jenny, were talking about their favorite books and many of them were teen literature featuring robots, vampires, werewolves, mutants, super heroes ect. I mentioned the books I like and it was interesting to hear their reaction. Some of my favorites they liked but some they found boring. As we chatted I realized I like books about REAL PEOPLE. Even if it is fiction the characters have to feel somewhat real in order for me to relate to them. This is the way I have always been. 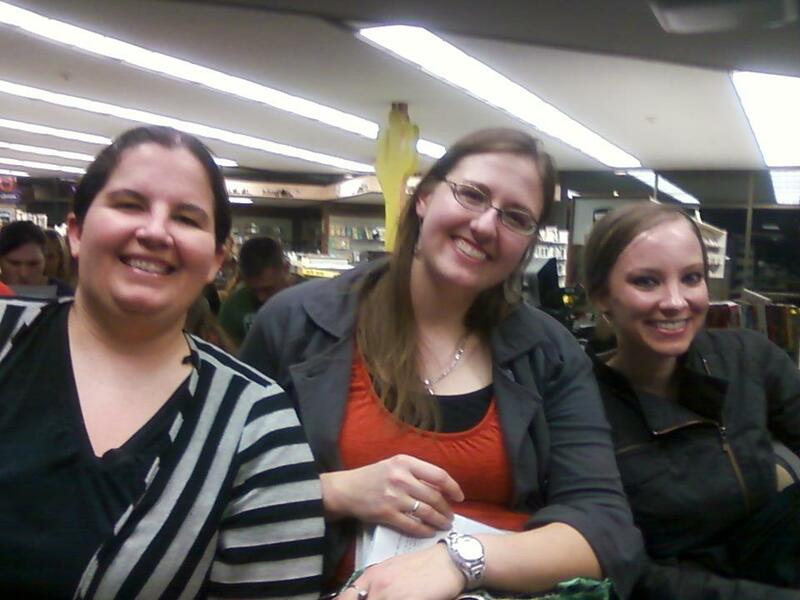 My friends and I at the book signing. (If I added an 11 it would be My Life in France by Julia Child.). Not a magician, werewolf, vamipire or fairytale in the bunch. As my friends and I were talking one of them said ‘I read books to get out of my world not to stay in it’. I found this interesting because I also read books for the same reason. Puzzling hah? Why do I respond to books about ‘real’ people and feel tepid about what most would consider a fantasy? Is it possible I have a somewhat ordinary fantasy? I have never been a dreamer. Never had a bucket list or a dream guy or a list of great things I wanted to do. I have never wanted to be more than I already am. The best people in my life have been the most simple people who really believed in me. Maybe the reason I relate to regular stories is that a lot of the stuff which is easy for others has been difficult for me. (I know this is relative as some have many more struggles but hear me out). For example, losing weight which appears to be easy for others has always been so difficult. Simply eating is a task filled with stress and peril for me. Its no wonder that characters who live in a ‘real’ world without these trials feel like a fantasy or an escape. For me, just being accepted and feeling beautiful or smart was a fantasy, was something I felt I lacked. It took clawing through it all to be the confident, happy woman I am today. Also, schooling was a challenge for me. Between the bullying, strabismus problem and mild dyslexia, things like reading, focusing, getting good grades were always more difficult for me than for my siblings and friends. I think a fantasy book did not help me to deal with any of these problems where a book about a real person can provide solutions, perspective, and inspiration- even one set centuries ago. Characters like Jo March, Anne Shirley or Atticus Finch gave me a mold that I could follow. They were my version of a fantasy of what I would want to be like if all my dreams came true. Stories in other worlds, imaginative as they might be, did not give me inspiration and solutions I could apply to my everyday life; therefore, I found them less compelling to read. I couldn’t relate to the characters or their challenges. My romantic fantasies are also quite ordinary. As someone who has never been kissed, just a regular, ordinary romance excites me. No vampires or life saving peril needed. Neither one is right or wrong its just different tastes. The older I’ve gotten the more open minded I am and the better reader I am, so I try to gain from all literature I read. However, my favorites will always be about ‘real people’. What about you? Are you more motivated by ‘real life’ stories or by fantasy (other worlds, magic powers, non-human creatures etc)? Do you find stories about ordinary people to be boring and prefer a new, different world? What are some of your favorite ‘real people’ books? 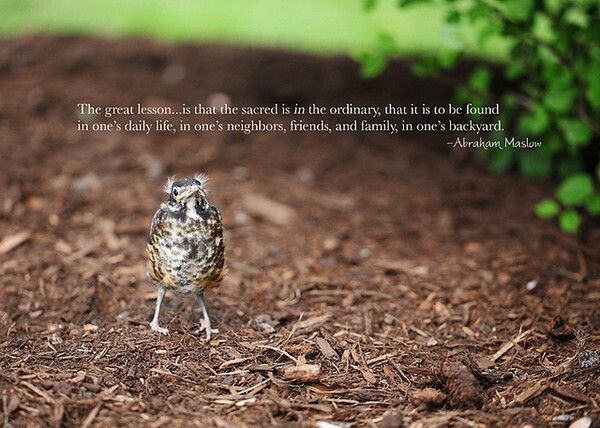 On that note I am going to see the Hunger Games tonight…See, I’m expanding and growing!